Article tiré du magazine Time. More than 100,000 new iPhone and iPad games were uploaded to Apple’s App Store last year–upwards of 500 a day, by some estimates. There were puzzle games, role-playing games, strategy games, shoot-’em-ups, sports games, quizzes, war games, word games. Some were good. Some were bad. Some were truly terrible. The vast majority of them went unnoticed and sold poorly if at all. So why do people make them? Because a) mobile games, as they’re called, are relatively easy and inexpensive to develop, and b) a successful one pretty much prints money. The canonical example is Flappy Bird. A simple game featuring a squat little bird that tries (and usually fails) to fly between big green pipes without touching them, Flappy Bird was coded over a long weekend in 2013 by a 28-year-old in Hanoi named Dong Nguyen. Since then it’s been downloaded over 50 million times and was making $50,000 a day before Nguyen took it down because he couldn’t cope with all the pressure and attention: the game was too successful. And some games make more than that. A lot more. The puzzle game Candy Crush Saga, which is essentially just a candy-themed knockoff of the old warhorse Bejeweled, takes in $922,968 every day, on average, according to the app-data site Think Gaming. The massively multiplayer strategy game Clash of Clans pulls in over $1.5 million a day; Supercell, the Finnish company that makes it, was recently valued at over $5 billion. And this is just sales on Apple’s App Store. We’re not even counting Google Play, the Amazon App Store and the Windows Phone Store. These little games have become very big business, and they’re only getting bigger. Last year global revenue from mobile games was about $25 billion, up a sharp 42% over 2013. This year it’s on track for $30 billion, and mobile games are expected to outearn traditional console games (Xbox, PlayStation, etc.) for the first time. They are increasingly, for better or worse, what we do with our free time: on average, Americans who play mobile games do so for more than two hours a day, up from an hour and 20 minutes in 2012, according to a survey by the NPD Group, a market-research company. Mobile games aren’t like the older generation. A blockbuster triple-A console game like, say, a Call of Duty or an Assassin’s Creed can take dozens of people years to create, on a budget of $100 million or more. But mobile games are so much smaller and less complex, you can make one by yourself, for peanuts, in your bedroom. Doodle Jump was created by two brothers, Igor and Marko Pusenjak, over three months in 2009; as of 2013, the last time Apple released figures, it was the third most downloaded paid app of all time. Tiny Wings was coded by a self-taught German programmer, and it hit No. 1 in 88 countries. You too could be a mobile-games millionaire! But you probably won’t. Because the mobile-games game is a lot tougher than it looks, and it’s getting tougher all the time. Betaworks doesn’t make games, specifically. Located in downtown Manhattan, a block and a half from the Hudson River, it’s a company that incubates, invests in and spins off startups: it owns Digg and bit.ly and was an early investor in Tumblr. But one of the startups it’s currently spinning off is a mobile-game developer called Playdots that has released two titles: Dots, in 2013, and a sequel, Two Dots, last year. Both were hits. So far they’ve been installed on 40 million and 30 million devices, respectively. Dots is a simple game. Initially it presents you with an orderly grid of little multicolored circles. Kusama aside, it’s almost indistinguishable from one of Damien Hirst’s spot paintings. The basic idea–or the mechanic, as they say in the business, meaning the thing you do over and over again–is to connect dots of the same color by moving your fingertip from one to the next. When you connect two or more dots, they disappear. Connect four dots in a square, and all dots of that color anywhere on the screen disappear. Your goal is to get rid of as many dots as you can. It’s difficult to put into words the sense of pleasure and satisfaction that nailing a square in Dots gives you. It’s a spark of joyful triumph, a tiny mental fist bump. You feel like you’ve accomplished something. You haven’t, of course, and the feeling fades, but it leaves you wanting more. And there’s always more. Dots never runs out of dots. Moberg had only four months to finish the game, which forced him to leave out the gimmicks and extra features, but that simplicity wound up being one of the game’s strengths. “People really responded to that,” Moberg says. “They were happy to share it with their friends. There was no guilty-pleasure feeling to it.” With no bells and whistles, Dots is a calming game: its designers once arranged for people to play while hooked up to sensors that measure anxiety. The sensors immediately flatlined. Mobile games send a lot of information back to the people who make them. It’s all anonymous and aggregated, but make no mistake, the gamemakers know how long we play, how long a level takes us, where we get stuck, when we give up. The Dots team circulated early versions of the game at Betaworks. They knew they were on to something when people started playing Dots in the middle of the night. Dots went on sale on Apple’s App Store on April 30, 2013, with the subtitle “a game about connecting.” It got very little promotion–Apple didn’t even feature it on the App Store home page–but its simplicity and novelty caught people’s attention. After 48 hours it cracked the top 10; a week later it had a million users; it went on to hit No. 1 in 23 countries. To date it’s been played over 6 billion times. By then Betaworks had already formed a company around Dots and was staffing up for a sequel. “We liked the fact that both Patrick and I didn’t come from gaming,” says Paul Murphy, the CEO of Playdots, who came over from Betaworks and once worked in Microsoft’s Office division. “We’re not 10-year gaming-industry vets. That world is being totally disrupted now anyway, so I’m not sure how much–no offense–you can carry over.” Currently Playdots employs 28 people. For example: once you finish a level, you pop out to an in-between screen where you can choose what level to play next. But it’s not just a menu, the levels are arranged along a path, and the path runs through a strange little universe, subtly animated, with sea and snow, forest and desert, up into a spacey celestial wonderland and beyond. Completing the levels becomes a journey. The little universe is populated by enigmatic but appealing creatures–a giant squid, a dancing yeti, a snoozing fox–who keep you company on your quest. Dreamy lounge music plays over the whole affair, written by some guys from Nashville whom Moberg met at a party. Murphy calls this the “metagame,” and it’s easy to spend a lot of time there, even apart from playing the actual game itself. Speaking personally, the pleasure of playing Two Dots has been a significant impediment to the task of actually writing about Two Dots. I’m currently on Level 322. Another new twist Two Dots added was that it makes money. Among the things Playdots learned from Dots are that a mobile game can be wildly popular without actually being wildly profitable, and that the business side of the mobile-games game is a lot more complicated than it looks. In fact the whole question of how to make money off mobile games is currently causing the entire industry to convulse. It seems simple enough, but there are a few different ways to do it. The industry term for the old-fashioned way, the one where you just make a game and people pay money to download it, is premium. But there are others. Some games are supported by the sale of ads that appear inside the game–that’s how Flappy Bird made its money. Some games charge subscription fees. Some games blend several different models. But far and away the most successful model right now is called freemium, or sometimes free-to-play. That’s where you give the game away for free, but then offer players the option of buying extra lives, or extra turns, or power-ups, as the need arises. Candy Crush Saga is a good example of a freemium game, which is sometimes derisively called a pay-to-win game. It costs nothing to download, but if you find yourself stuck and needing to remove an inconvenient candy, you can buy a Lollipop Hammer and smash it for $1.99. The freemium model has proved so effective that it’s muscling all the other models to the fringes. It’s hard for premium games to compete with games that cost nothing to download. Roughly four-fifths of all mobile-game revenue earned last year came from in-app purchases. As I write this, you have to go 35 places down the list of top-grossing games till you hit one–it’s Minecraft: Pocket Edition–that isn’t freemium. But freemium is harder to do than it might seem. Dots was designed to be a freemium game, but in practice it didn’t work. A freemium game is its own little economy, and if it’s not balanced, the economy doesn’t thrive. In the case of Dots, the game was a victim of its own success: people enjoyed it too much. It had its own virtual currency, which people could buy with real money, but nobody bothered. They would rather play. “We just got the economy wrong,” Murphy says. “You could earn dots and you could buy dots, and people earned dots because they played the game more than we thought they would. They were able to earn them faster than they needed to buy them.” Dots also suffered from a lack of characters to stick on T-shirts. You can’t license a dot. But even when it works, freemium has a dark side. In fact, along with boatloads of cash, it’s starting to earn a bad name. Part of the problem is simply that in-app purchases and kids are a bad mix: last year the FTC forced Apple to refund $32.5 million worth of in-app purchases made by children. Since then Apple has added tools for parents to prevent this kind of thing, but you still have to marvel at the gumption of a game like Disney’s Maleficent Free Fall, a “puzzle-adventure” based on the movie, in which players can buy a “Cauldron of Magic” for $49.99. But on a more fundamental level there’s something of a bait-and-switch about freemium: games are presented as free, but they’re actually designed to seduce payments out of you. In November, Apple made a subtle change to the wording on its App Store: the button you click to download a freemium game used to say “free”; now it says “get.” That’s a quiet acknowledgment that freemium games are not, in the end, all that free. According to one theory, some freemium games take advantage of what’s called a “compulsion loop,” a kind of Skinnerian motivational trap that keeps players in a state similar to addiction. As players work their way through the game, they’re continually rewarded with new content the same way a lab rat might get a pellet for pressing a lever, with the promise of more always dangling in front of them. A typical compulsion loop looks something like this: player kills monster; player gets gold coins; player spends gold coins on newer, shinier, deadlier weapons; player can now kill newer, higher-level monsters, thus earning even more gold, with which to buy even better weapons, and so on and so on ad infinitum. Every time you go round the loop, your brain gives you a little bump of dopamine, a tiny burst of pleasurable satisfaction, and pretty soon you can’t stop and you’ll pay money, lots of it, to keep going, long after the game has ceased to be in any meaningful sense fun. There are cases where players have wound up pumping thousands of dollars into freemium games. But freemium is so dominant that it’s not just beating premium, it’s actively killing it: there’s an expectation now among consumers that games should be free to download and that charging money to install them on your phone is somehow greedy and wrong. Monument Valley was one of the most critically celebrated games of 2014, a true example of the gamemaker’s craft–it was Apple’s iPad game of the year, and in March it won a BAFTA. But it’s a premium game, and when its developer released a set of supplemental levels that almost doubled the size of the game, and asked people to pay $1.99 for it–the cost of one Lollipop Hammer–there was a revolt. People blitzed the App Store with one- and two-star reviews. Generally speaking, that marketing takes the form of advertising on Twitter and Facebook and in other games that run in-game ads. The process is often referred to with the rather industrial-sounding phrase user acquisition, and it boils down to a simple question: How much is each new user, on average, costing you in marketing money? If that number is greater than the average user is paying you in revenue, then you may have a problem. This equation is getting harder to balance because as more and more developers get into the market, drawn by those fat revenue numbers, they compete for a finite pool of advertising, driving up prices, with the result that user-acquisition costs are going up faster than revenues are. According to one estimate, by the mobile-marketing-technology firm Fiksu, the cost to acquire a loyal user was $2.74 in April, up 80% from the previous year. To jack up revenue numbers, publishers have to resort to more and more aggressive business models. In other words: freemium. According to a study published last year by the app-research firm VisionMobile, 57% of games make less than $500 a month. Looking at the app economy overall, 23% of developers make less than $100 a month per app, and 24% make nothing at all. “It used to be a business for lots of small fries,” says van Dreunen. “But it’s really crystallized in a big way, where the big companies are now spending an increasing budget on development, increasing budget on marketing, to capture the size and the opportunity that mobile presents to them. It used to be this accessible, sort of unnoticed thing, and now it’s professionalized, it’s rationalized, it’s much more controlled by the bigger publishers.” According to SuperData, in an average month the top 10 mobile-game publishers make 57.8% of all the mobile revenue in the U.S. market. With that said, small, quirky games can still succeed. It does happen, although the odds are long. Crossy Road, which was released last November, is a descendant of the arcade classic Frogger but with a gonzo anarchical sense of humor. A freemium game but with a light touch, Crossy Road was created by a three-person team in Australia and so far has grossed more than $10 million. And Two Dots managed to break out too, although Playdots brought perhaps more marketing expertise to the process than most indies do. If developers are rich in nothing else, they are rich in data–you can visit AppAnnie.com or ThinkGaming.com and wallow in lagoons of information about downloads and revenues and usage–and Playdots has become surpassingly shrewd in feeding that data back into its user-acquisition strategies, endlessly tweaking its ad buying to produce the optimal outcome. “Our marketing manager can shift spend to different countries when demand is low,” Murphy says. 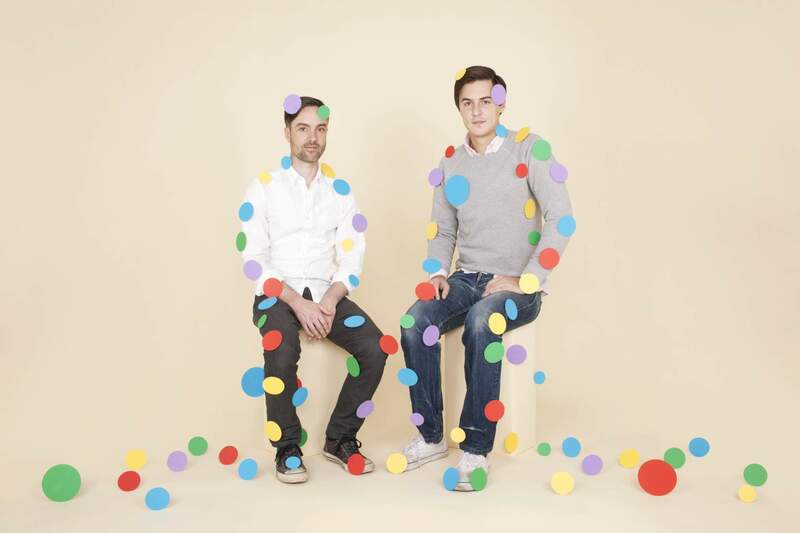 “Looking at a creative studio like Dots, you wouldn’t necessarily think we’ve invested in that, but there’s no way to build a business otherwise.” Playdots also recently accepted a $10 million round of financing led by the VC firm Greycroft Partners and the Chinese media and communications giant Tencent, which will serve as a buffer between its creative process and the jagged, short-term exigencies of the marketplace. The mobile-games market has changed, but it may not be done changing. Freemium is starting to show weaknesses as a long-term business model. There seems to be a limit to how long companies can nurture a paying relationship with players without new hit games to bring in fresh blood. Zynga, the freemium-heavy social-games titan that made Farmville and Mafia Wars, lost $266 million last year. Profits at Rovio, the Finnish company that makes the iconic Angry Birds, fell 73% last year. It’s betting heavily on an Angry Birds movie next year. It’s been almost a year now since Two Dots, and Moberg and his colleagues are still working on a follow-up. It won’t be called Three Dots. It may not involve dots at all. Moberg shows me one prototype that’s fairly far along. The clean, elegant ethos of the Dots games still reigns, but we’re playing with boxes now: multicolored squares and rectangles that collide and combine and collapse in interesting ways. It looks a little like upside-down Tetris, with the boxes rising up instead of falling down. But you can tell they haven’t pushed it quite far enough. It doesn’t have that instant aha! feel that the Dots games have, or not yet. Before a game can be fitted with an in-game economy, inserted into the overcrowded marketplace and run through the user-acquisition mill, it still has to be made fun. But where does fun come from? No one knows exactly, and having found it once, or even twice, is no guarantee that you’ll find it again.